2208 Montreat Dr, Vestavia Hills, AL.| MLS# 832556 | Richard Jacks UABLIVING.com 205-910-2297 | Birmingham AL Real Estate | Contact us to request more information about our Homes for Sale in the Birmingham AL area. 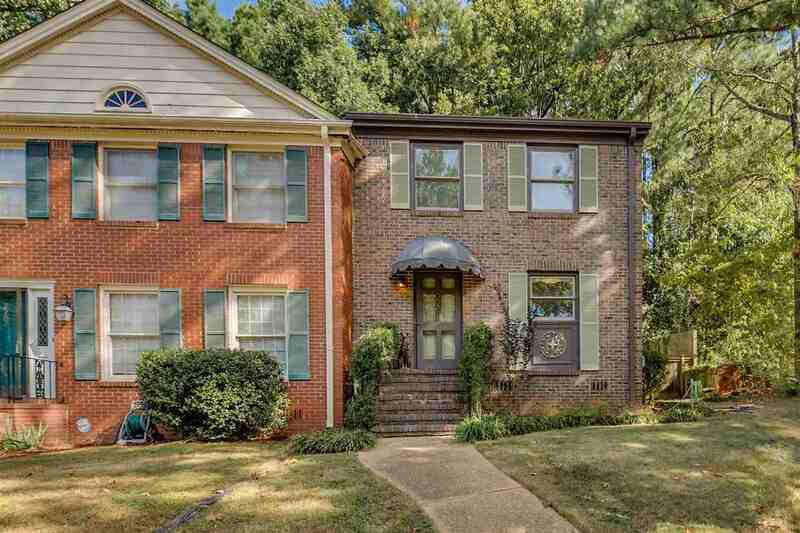 Fabulous townhome nestled into friendly Vestavia neighborhood. Wonderful corner lot with plenty of assigned parking steps from your front door. Hardwood floors on main level, charming stone fireplace, French doors opening to private patio with privacy fenced back yard. Cute kitchen with quartz counter tops, tile floor, and glass front cabinets. Upstairs has 2 light filled, large bedrooms, walk-in closets, jack n&apos; jill bath, laundry area. Pull down attic for additional storage. HUGE BONUS: NO HOA FEES ASSOCIATED WITH THIS PARTICULAR HOME! Hurry to see...it won&apos;t last long! Driving Directions: Hwy 31 To Montreat Dr (Next To Issis Furniture And Carpet).